Standardized solutions and long history of deliveries ensure good reliability to meet users requirements. 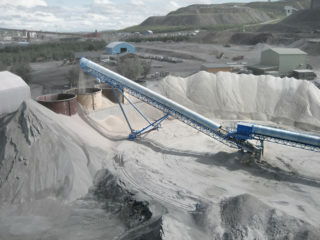 Roxon components have proven their durability in both normal (ND) and heavy duty (HD) environments. 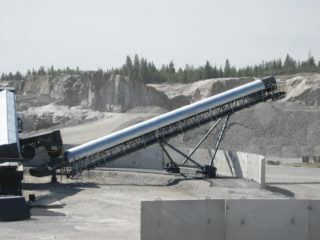 The advantages of standard radial stacker conveyor make it ideal and cost-effective conveying solution for stockpiling. 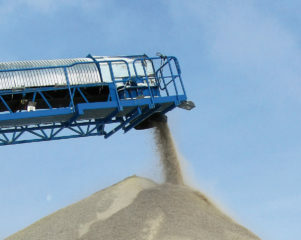 Adopting of the stacker conveyor allows stockpiles to be more strategically placed, more quickly processed and, when there is a series of stackers, it can work faster and more efficiently than fixed conveyors. 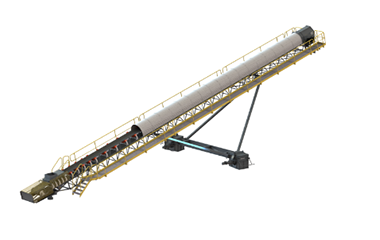 Due to its modular structure HS100 Stacker can be quickly reassembled at site. It comes in pre-assembled modules that include all the required parts ready in place. Modules can be packed in standard containers which also protect the equipment before installation and allow easy transportation to site.